Since birth, your little one has been working on his motor skills. At first he could barely open his hands, but soon enough he liked holding on to your finger and, later, grabbing objects giving them a shake. Every day your little one is achieving more and more complex tasks with his hands. He can now pull objects towards himself, hold them with the palm of his hand, and maybe use both hands simultaneously. Soon he’ll learn how to build tall towers, pick up small objects, manipulate playdough, and hold a crayon. Before you know it, he’ll be tracing lines, making beautiful drawings, and writing his name. All these incredible skills are fostering strength in his hand and finger muscles, getting him ready to hold a pencil in writing position using the index, middle finger, and thumb. Fine motor skills are required for your child to hold and manipulate objects. Scribbling, buttoning up a shirt, tying shoelaces, and writing; all require finger dexterity and hand coordination skills. 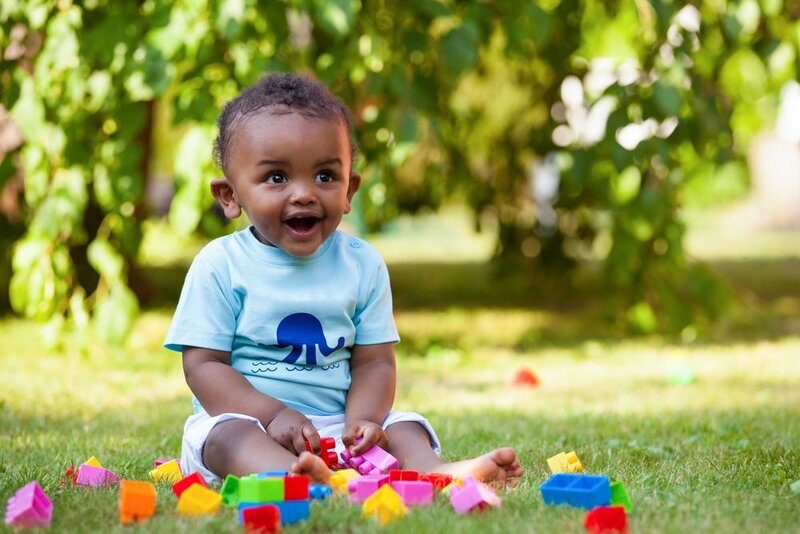 Since he was born, your little one has been working on strengthening his hands using all the tools around him. As he explores with his hands and fingers, tiny muscles coordinate very precise movements: from being able to shake a rattle, to picking up small pieces of cereal or holding a crayon. Every movement, tool, and activity are helping your little one master skills and also prepare him for future ones. Another tool your little one’s has and wants nowadays are technological devices. Researchers from the University of Toronto found that by 18 months, 20% of children use handheld devices for half an hour a day. 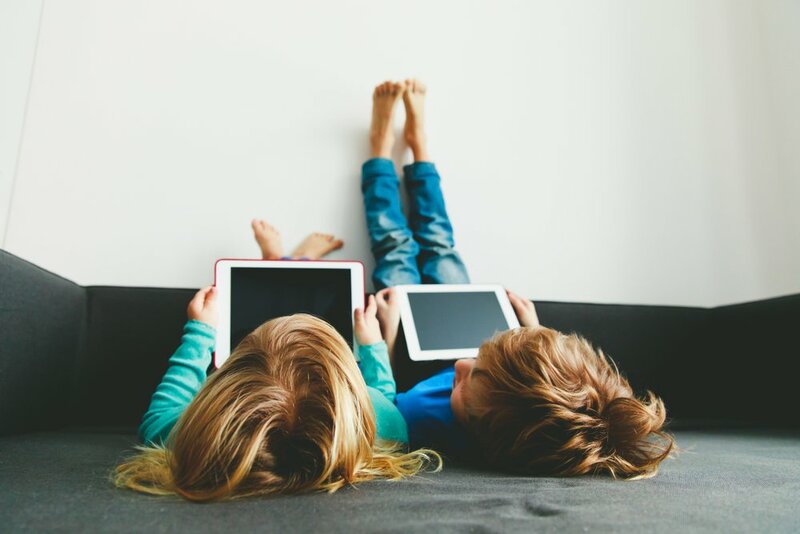 Findings of a longitudinal studies in Canada that observed screen time and motor proficiency in children reported a negative relationship between the amount of time spent in front of a screen and motor competence in ages 4, 5, and 7. Sally Payne, pediatric therapist at the Heart of England foundation NHS Trust, mentioned that children are not coming to school with the hand strength and dexterity that they had 10 years ago. She mentions that the amount of time children spend with a TV, tablet, or smartphone is affecting their ability to develop the underlying foundation skills they need to grip and hold a pencil. When your little one is able to manipulate objects, utensils, or any kind of tools to complete any task successfully, he’s demonstrating his abilities of hand control as well as finger strength. Dramatic accomplishments like learning how to crawl, stand, or walk are easy to see during his first years. Even so, during these months the tiny muscles in his hands and fingers are also providing him with the base for cognitive, social, and emotional development. Your little one gradually learns how to go from grabbing a rattle with his whole fist, to picking up small objects, using a handle to open a drawer and manipulating toys that move. All these simple actions depend on underlining abilities such as finger strength, finger positioning, and finger isolation. 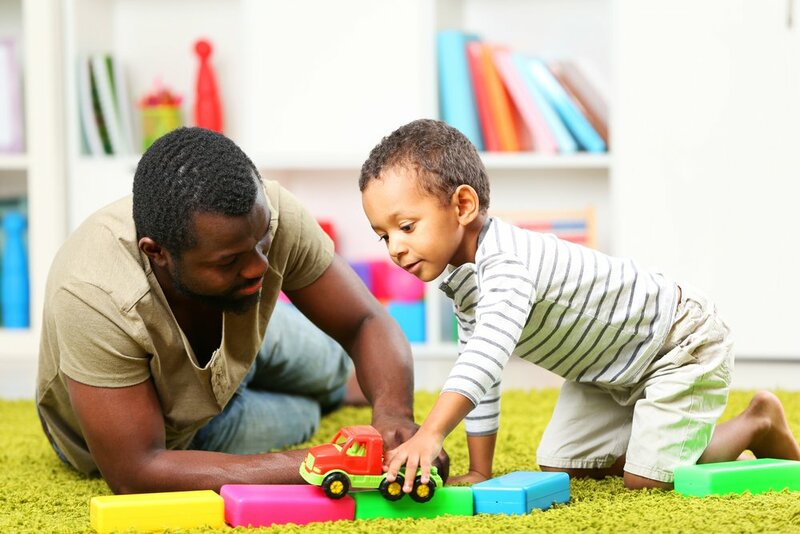 The friction that is created by grabbing an object and simultaneously increasing the force on his grip to prevent the object from dropping are things required in order for your child to perform everyday tasks successfully. We’ve previously talked about what you can do to enhance your child’s language development and about findings of how the way you interact with your child makes a difference. Another recent study by Pediatrics found that the window between 18 and 24 months is crucial when it comes to language development. Children 18-24 months who were engaged in conversations had higher scores in IQ, verbal comprehension, expressive and receptive language, and cognition skills 10 years later during their school years. With these findings, the authors emphasized the need for parents to create an early language environment for their children. We’ve previously discussed that since your baby is now on the move, making your home a safe space is very important. Check part 1 of this article if you’ve missed it! Check your home for furniture pieces with hard edges and sharp corners. Coffee tables are a particular hazard so, if possible, move this furniture out of reach. 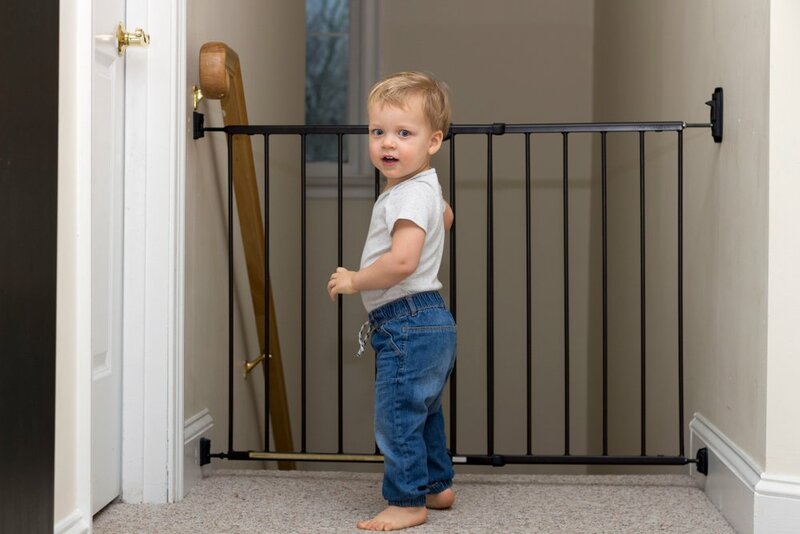 Since your little one will want to explore every part of the house and still doesn’t understand the concept of safety, you might consider buying some cornered guards or smooth edge protectors to stick onto the furniture, this way you can prevent bumps or bruises. Electrical outlets are something children get curious about, so use sliding panels or safety plugs that are not a choking hazard to prevent your son from sticking his finger or toy in there. Keep computers out of reach to prevent him from pulling it over himself and put away or hide all electrical cords. 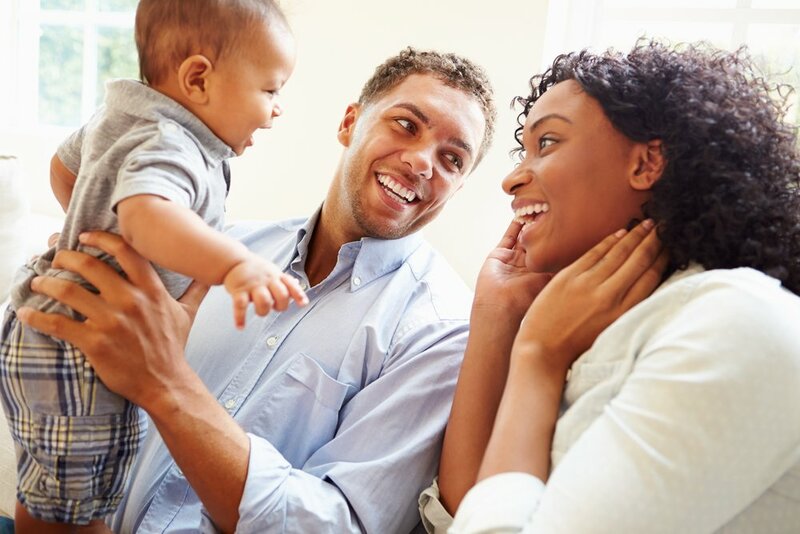 Now that your baby is on the move, he’ll need constant care and supervision. Even though he’s now moving on his own and you’ll be there with him at all times, your baby doesn’t know the rules about what to touch or not touch, so accidents are prompt to happen. During these months it is very important to make your home a safe space for your crawler. 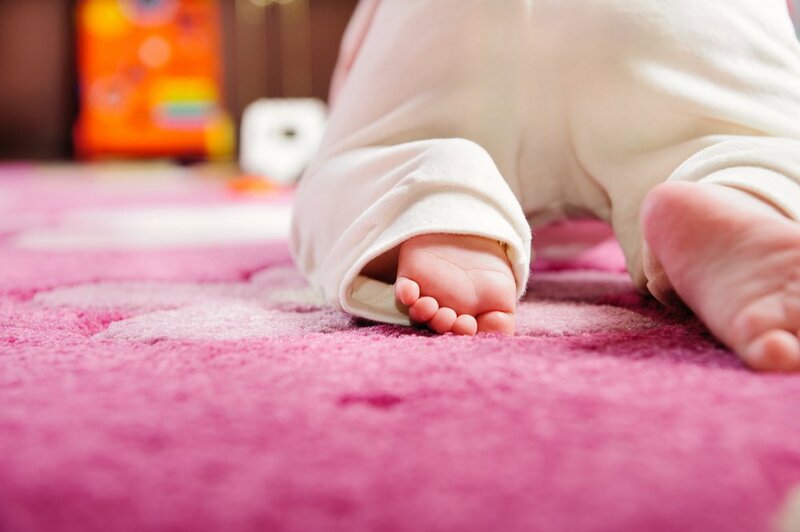 Soon after he masters crawling, your baby will begin pulling himself up as he prepares to walk. So, take a crawling tour around the house yourself and check on anything you could pull and grab onto. Test the stability of large pieces of furniture, such as floor lamps, bookshelves, and television stands. Put floor lamps behind other furniture and anchor bookcases and TV stands to the wall. Check that all furniture is sturdy and secured to the to the wall. Cabinets, drawers, and cubbies should be closed since kids like to climb on them. Your baby will probably empty racks of movies, CDs, albums, or anything that’s reachable, so be sure there’s nothing that can harm him. Toilets are now within his reach and if he wanders into a bathroom, he’ll probably pull himself up by grabbing onto it. So, consider having childproof handle locks on all your bathrooms and non-slip mats in bathtubs. My baby is not crawling, what can I do? We’ve previously discussed that crawling develops during a wide window of months and that your baby has a variety of styles he can adapt to. Keep in mind that your little one is not programmed to crawl. He’s mostly motivated to explore the world, experiment with different ways of moving, and will settle on the one that he feels is most rewarding. So, while it might not look like a classic crawl, remember that sliding on the tummy, rolling, and bottom shuffling are still valid methods for moving around. The important part is that he coordinates both sides of his body and uses each arm and leg equally. Even though most babies crawl, there’s a few that skip crawling altogether. If your baby is one of those cases, what can you do to still stimulate the variety of muscles and skills crawling requires? When should my baby start crawling? We previously talked about preparing your little one for crawling, and the many skills it involves. For most babies crawling occurs at around 8-10 months. 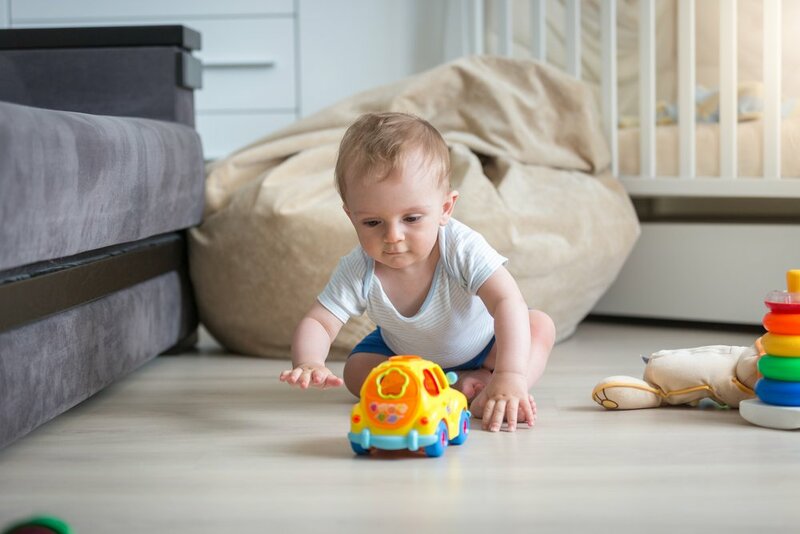 The reason the window for crawling can start at around 6 months is because your baby is working on rolling, sitting, and shuffling so she might start moving to get around before the 8th month. In these early months, some signs you can look for are little pushups while your baby is on her tummy in which she might lift her head and chest using her arms as support. As she gets stronger, she’ll start experimenting and try to move with her forearms; this is why tummy time is so important during this period. There are also some late crawlers, and the only reason they’re called that is because most babies start grabbing on furniture and standing up to cruise at around 10-11 months. 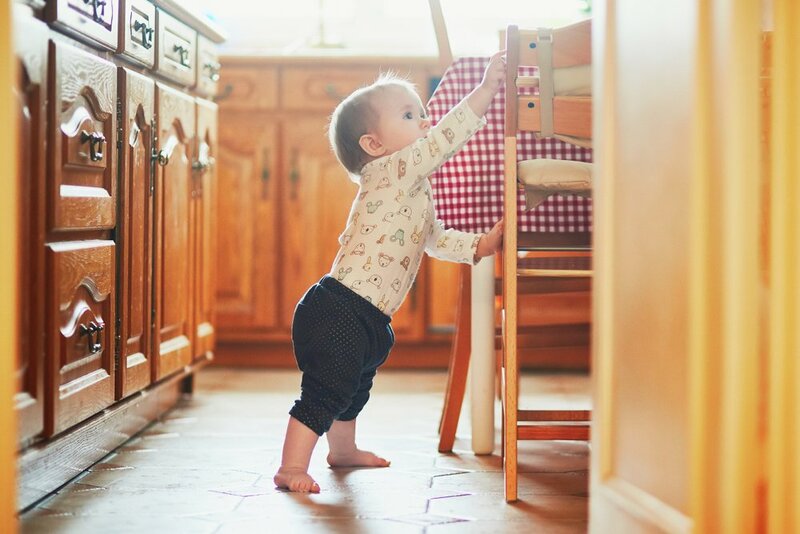 The truth is that it’s not important when your little one crawls or if she crawls at all; this action will happen when your little one is ready, and her style of crawling might not be what you have in mind. The important part is that she’s mobile and improves her motor development, which includes many other milestones.